Global market sentiment: Strong US economic data helped US bond yields rise to multi-year highs and the US dollar outperform all major currencies. Equities were buoyant too, the S&P500 up 0.5% and within a whisker of a fresh record high. Interest rates: The US 10yr treasury yield surged from 3.07% to 3.17% – the highest since July 2011, the 2yr yield from 2.82% to 2.86% – the highest since June 2008. Fed fund futures yields continued to price the chance of another rate hike in December at 80%. FX: The US dollar index is up 0.3% on the day, at a six-week high. EUR fell from 1.1590 to 1.1510. USD/JPY rose from 113.80 to 114.45 – the highest since Nov 2017. AUD fell from 0.7190 to 0.7118. NZD fell from 0.6590 to 0.6527. AUD/NZD continued to range sideways, between 1.0890 and 1.0930. The US services ISM index rose to a 21-year high of 61.6 in September from 58.5 last month, well above consensus expectations at 58.0 and underscoring the exceptionally resilience of the US growth story, with fiscal stimulus overpowering headwinds from escalating trade tensions, a strong dollar, and last month’s disruptive Hurricane Florence. All the sub-component series posted strong gains, the employment index notably rising to an all-time high for the series of 62.4 from 56.7 last month. New orders lifted 1.2pts to a strong 61.6 while prices paid rose 1.4pts to 64.2. The Automatic Data Processing (ADP) employment report for September posted an outsized +230k gain, well above expectations (+184k) and the strongest monthly increase since February 2018, pointing to a very strong pace of US hiring in the month. FOMC member Harker said he supported a rate hike in December, favouring three more in total; Evans said he’s more comfortable with the current inflation outlook than he has been for years, and the path for rate hikes is “as clear as you could write up”; and Barkin said US economic growth is solid. Eurozone Aug. retail sales undershot expectations and fell -0.2% (exp +0.2%) with the prior reading revised down to -0.6% from -0.2%. Although the work day adjusted y/y level was firm at 1.8%, the monthly softness reflects a softer consumer, as was apparent in several national releases. Italy’s budget proposals were submitted to Parliament. Although the forward deficits have been reduced from the 2019 2.4% deficit, markets remain nervous and EC’s Moscovici stated the need to see sound details to alleviate current concerns. UK’s Conservative Party Conference was closed with a sound and creditable speech from PM May that avoided last year’s humiliation and appears to have brought the factions within the Party closer whilst also adding some aspects of policy beyond Brexit. Australia: Aug trade balance is expected to be a $1.45bn surplus down from $1.55bn in Jul. Westpac is forecasting the surplus to narrow by a greater extent to +$1.1bn with exports down 0.8% while imports rise 0.5%. US: Aug factory orders follows a softer preliminary core capital goods orders estimate of a 0.5% drop. Fedspeak involves Quarles on community banks. The US is booming. Europe is barely managing to not fall apart. The RBA’s silly Futureboom! is falling away with house prices. The only way is down for the AUD as the negative carry into Australia reaches 36 year lows. Hide the money laundering legislation! You spelled “brown envelopes” wrong. Seriously get up with the times, Everyone important knows that at this time of year they should expect a Red Envelope. 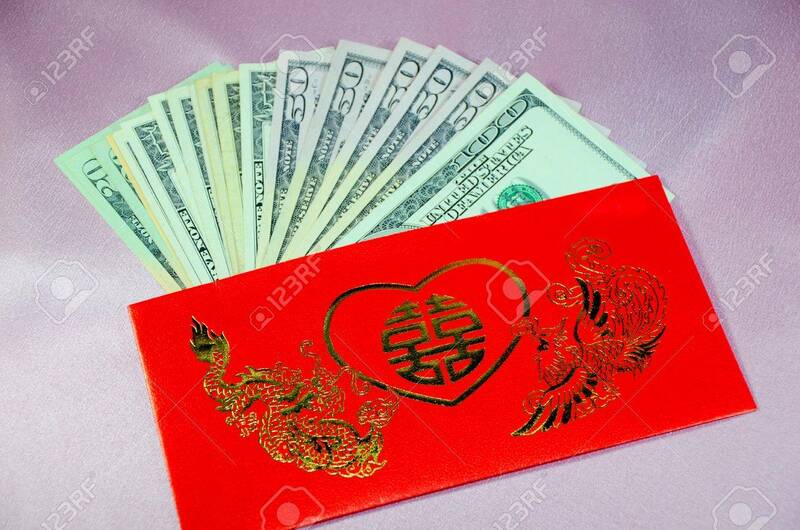 Ang Pao looks much better than a brown envelope and they are used for so many occasions; birthdays,weddings, securing political favours, Chinese new year. They really are discrete. The price of oil (Brent) in AUD terms has now doubled since last July. Its getting close to that in EUR terms too. $2/liter petrol on the way? Easy, I’m astonished anyone was persisting with the lower for longer stuff with oil. Reading too many stories from junior bloomberg reporters recycling months old sentiment I guess. peakoilbarrel.com is where it’s at. … Mr Eslake said first-time buyers may get that support from royal commission recommendations and possible further independent rate rises from the major banks that could produce property price declines of as much as 20 per cent from peak to trough. “I don’t think the decline in property prices is as bad news as it’s often portrayed,” he argued. That’s what happened in Vancouver housing in September, when according to the Real Estate Board of Vancouver (REBGV), residential property sales tumbled by 17.3% from August 2018, and a whopping 43.5% from one year ago. In fact, a total of only 1,595 transactions took place as both buyers and sellers continue to sit on their hands amid confusion whether the recent torrid price gains will continue or whether the housing bubble has burst. Nice gains for gold and silver. Silver up nearly 5%.